Help please and thank you! I acquired this banjo as part of a trade for some vinyl records. 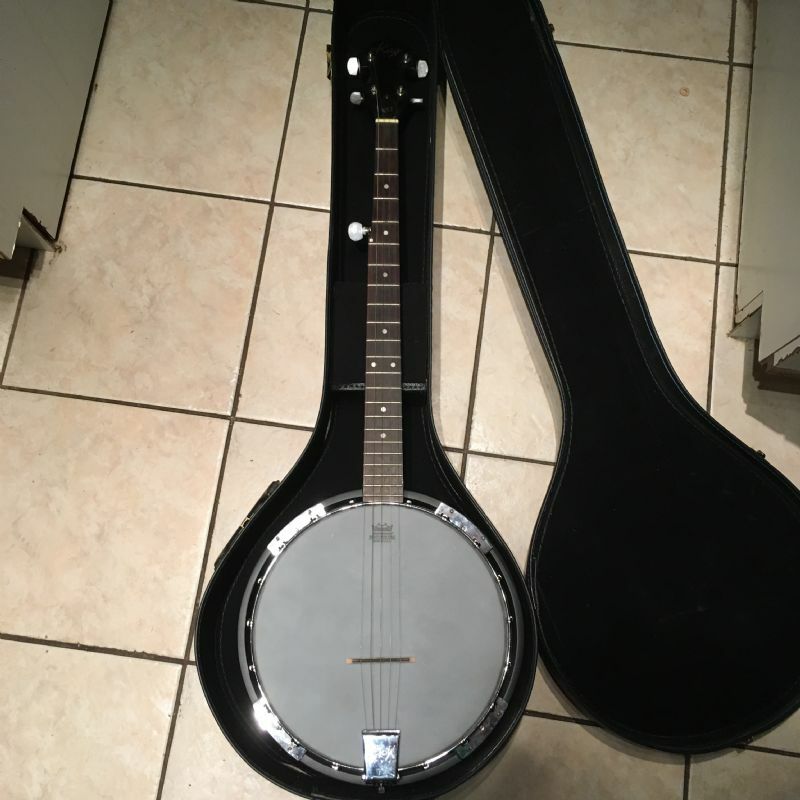 The guy I sold them to was short on funds so offered this banjo for trade. Any info somebody can provide would be great. I can’t find any markings or numbers. Not a scratch on it. I’m interested in model name, year, and general value. Thanks! 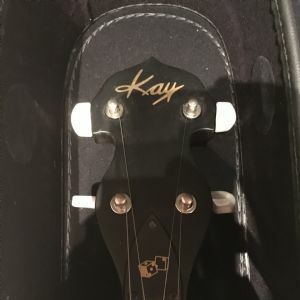 1980 - 90's Asian made Kay...... low end of the entry level banjos. You might get $100.00 for it on a real good day. Scott, it looks more recent than that. Have never seen an 80 - 90's instrument look like that. Thanks. Got it in lieu of $50 so that’s cool. So, ya gonna KEEP it and PLAY it?? If so, and if those tuner buttons are PLASTIC, you can crunch them off, and replace them with DICE, to match the truss rod cover.! Now that you've joined up you should keep it & surf around here. Some of these guys own thousands of dollars worth of instruments but most started from humble beginnings. 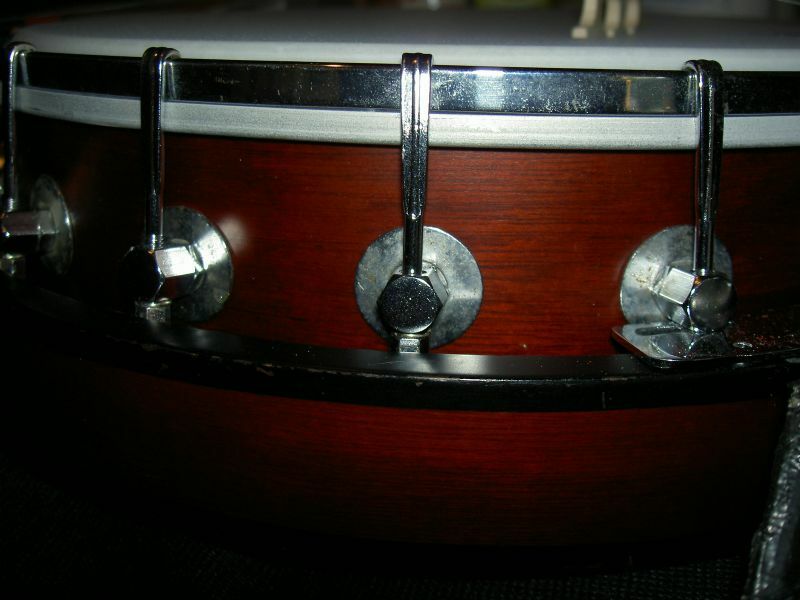 That banjo is all there & is in great shape! I'd give you 100 bucks right now for it. Got any old Bluegrass on vinyl? Learn G C & D & strum along! A couple months ago a friend of my sons pulled one out of a dumpster that looked exactly like that one only it was a Ktone. We looked it up and the Ktone sells new for 145.00. Anyway, it needed strings bridge and pip. 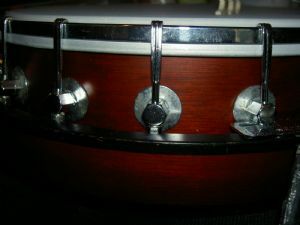 I use a little screw for a pip and put on a used set of strings that were still in good shape. Everything was loose, support rod, head. A couple brackets and the tail piece was jiggly……tightened everything tuned it up….and was shocked to hear a banjo sound when I started picking away…..we tuned it about 2 months ago and cross my heart it holds tuning with a little 5th string tweak now and then……I use it now for my early morning banjo when I think of something I want to hear what it sounds like and don’t want to wake anyone (played with fingers). I keep it here by the computer. Way back in the early 50s when I was just trying to learn banjo I had an open back 10.00 banjo that actually had better quality but this banjo has way better sound and it’s easy to play. For a beginner I’d say it’s a keeper….it actually has a growl and sustain….. I've worked on similar. These wre pretty generic and the Asian maker(s) would put any name on one that was asked for. They are not great banjos, but can be fine to learn on. The tone will be decent, but it won't have a lot of volume. That could be advantageous if you live in a thin-walled apartment or have a spouse who is sensitive to loud sounds. 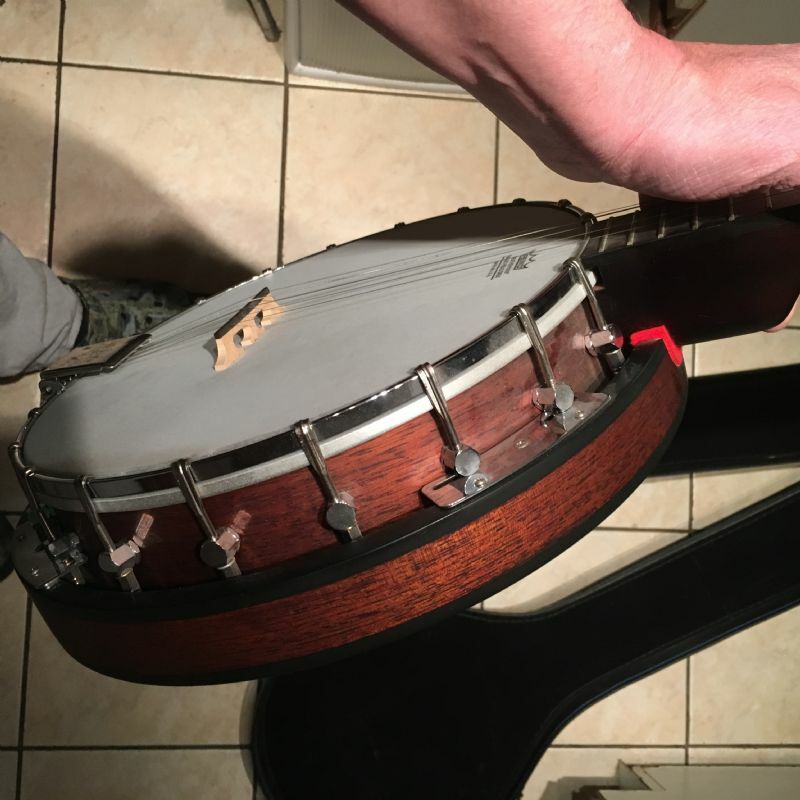 With a little effort, you might be surprised at the kind of sound you can get out of that little banjo. For starters, it has barely enough hooks on it to allow you to bring the head up to a proper tension to get it focused and loud enough to compete with other instruments in a jam or performance setting. Even with that, if you were to tighten those hooks up to pitch, the wall lugs will try to rotate up and dig into the side of the rim. If I were going to play that banjo, I would install fender washers under the wall lugs to give them a stable base. Then, as you get the lugs closer to where the head is tight, those flat, cobra, J-hooks will start to try to rotate off the tension band so you need to hold them in place as you tighten them. I'm attaching a photo of what I mean about the fender washers. You might also have to get a set of longer screws for the wall lugs if your washers are too thick. I'm also attaching a comparison recording of a Fender FB300, like your banjo and and a Gibson Earl Scruggs Standard. I don't think you'll find much difference, even thought the Earl Scruggs probably cost 40 times what your banjo is worth.